All connections to Papa Westray operate via Kirkwall on the Orkney Mainland. Orkney can be reached by Loganair flights from Aberdeen, Glasgow, Edinburgh, Inverness and Shetland. There are two car ferry services aross the Pentland Firth from the North of Scotland (Pentland Ferries and NorthLink Ferries) and one passenger-only service ( The John O' Groats to Orkney Ferry) in the summer. There are at least two Loganair Islander flights every weekday and one flight on Sunday from Kirkwall, the largest town on mainland Orkney. Stay overnight and you qualify for a special reduced fare. 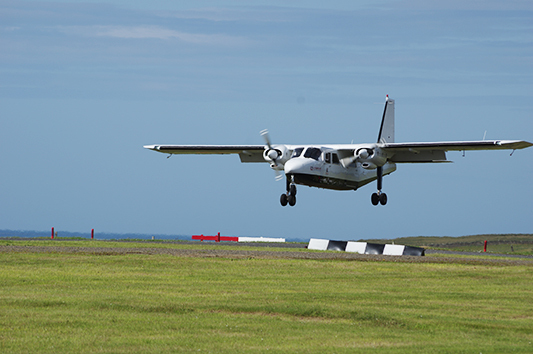 If you fly via Westray you will also enjoy the world's shortest scheduled flight - under two minutes! You get a certificate to prove it. The Islander has only 10 seats - including the pilot's - and is in high demand during the summer months. Advance booking is essential. There are two direct ferry sailings from Kirkwall per week (Tuesday and Friday) for passengers and vehicles. 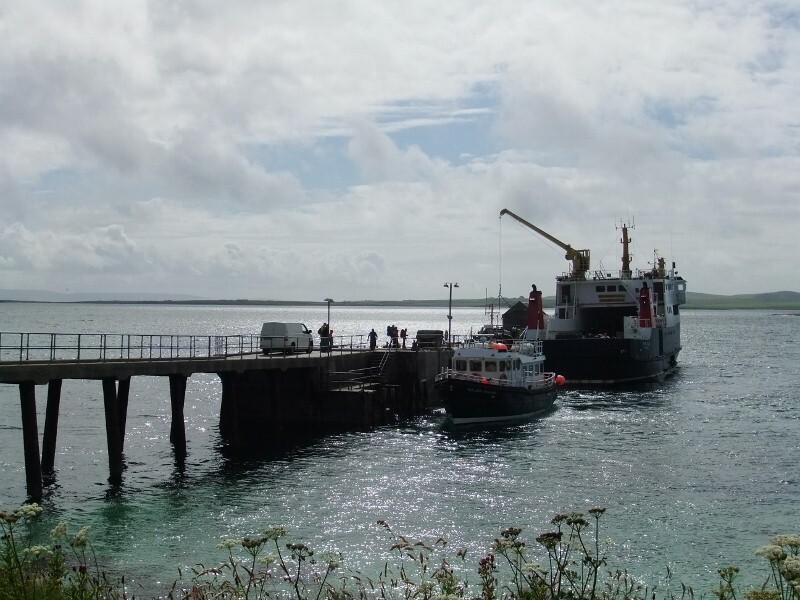 During the summer months passengers on foot can also take the regular daily ferries to neighbouring Westray then proceed by a connecting minibus service before a final short sea crossing to Papay. The 'Golden Mariana' passenger service operates every day in the tourist season between Papay and Westray. For more information and bookings, contact Orkney Ferries - tel (+44) 01856 872044.